Americans and Canadians differ on three things: guns, drugs and gay marriage. On most other things we are really similar in our habits. On car buying it is the case. 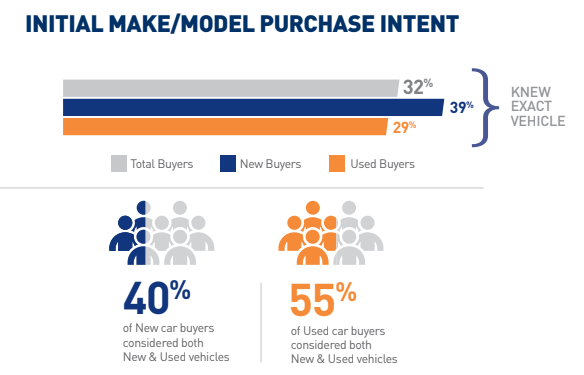 Here’s some new information on car buying habits for consumers out of the US. This study was commissioned by Cox Automotive. They aren’t a household name in Canada but, they own a vast number of automotive related properties we all know including AutoTrader. Here are some of the key findings from their study. If you are a statistics and graph lover like me there is a link for the entire study below. 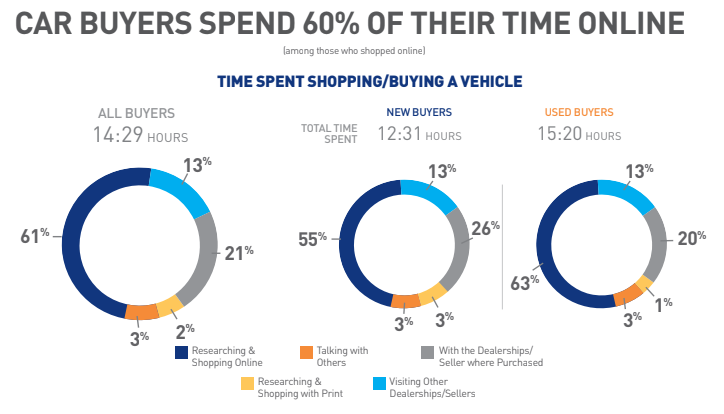 Car shoppers are spending about 4 fewer days shopping in 2018 than 2017. While the study isn’t very verbose about why this change happened I’d suspect that improvements in online information has made it easier for customers to come to a decision sooner. Only about 1/3 of people knew exactly what they wanted when they started their shopping exercise. Pricing has a big influence on purchasing behavior. Customers in the study tended to be focused on total price more than payment which is a shift from earlier data. At Honda West we always make you the first offer with both options. Here’s how things looked for 2018. Customers will spend lots of time online before making a decision. For the full study and to find out how we do it at Honda West you can start online too. At www.hondawest.ca you can buy your vehicle online and get a pricing quote with total price and payments. Also, we make the process as quick as possible. Another key interest of customers.